Additionally, the general public will select another winner from each category through the Public Choice Award through online voting. The prizes will be awarded at Eurosonic Noorderslag in Groningen January 16, 2019. Succeeding the European Border Breakers Awards (EBBA), the Music Moves Europe Talent Awards are the new European Union Prize for popular and contemporary music and are co-funded by the Creative Europe programme of the European Union, with the additional support of the Municipality of Groningen, Province of Groningen and the Dutch Ministry of Education, Culture and Science. The awards are presented by Eurosonic Noorderslag (ESNS) and Reeperbahn Festival, in cooperation with Yourope, the European Broadcasting Union (EBU), Independent Music Companies Association (IMPALA), International Music Managers Forum (IMMF), Liveurope, Live DMA, European Music Exporters Exchange (EMEE) and Digital Music Europe (DME). During Reeperbahn Festival 2018 we took the chance to meet a selection of outstanding speakers for interesting and inspiring video interviews. 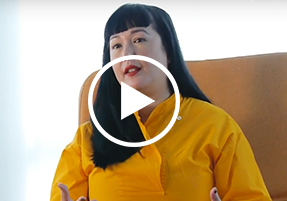 Sulinna Ong, Global VP Artist Marketing at Deezer, one of the world's leading streaming services, shares insights into how artist marketing has developed in the digital age. How can artists maximize their reach through telling their unique story making full use of audio and video? Sulinna has all the answers. Watch the full Q&A With Sullinna Ong in our E · MAGAZINE. On a regular base we will present to you exciting insights into the Reeperbahn Festival Universe in our E · MAGAZINE – from artist portraits to interviews with interesting representatives of the music industry to in-depth essays. Stay tuned for various videos and insights to come! Keychange initiative took another landmark step towards achieving its goal of encouraging a gender balanced music industry worldwide when meeting last Tuesday in Brussels. The seven Keychange founders, among them the Reeperbahn Festival, presented a manifesto for change at the European Parliament with the aim of increasing and sustaining representation of women in the music industry. The European initiative Keychange, founded by the British PRS Foundation and launched at the Reeperbahn Festival in 2017, has become a groundbreaking and international movement within a year, to which more than 140 international festivals have now joined. Keychange is led by PRS Foundation, supported by the Creative Europe programme of the European Union, in partnership with Musikcentrum Sweden, Reeperbahn Festival, Iceland Airwaves, BIME, Tallinn Music Week, Way Out West, Liverpool Sound City and Mutek. Learn more about Keychange here. 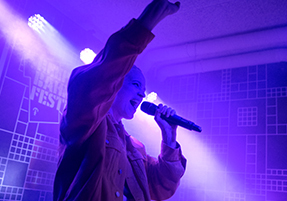 The next Reeperbahn Festival will take place from 18 – 21 September, 2019 in Hamburg, Germany. Conference Tickets for Reeperbahn Festival can be purchased online for €133.00 (+ VAT and sales fee) at the super low Early Bird Rate until the end of the year. Purchase here. You can look forward to four days full of fantastic programme! Choose unlimited from 900 events in the categories of sessions, concerts and showcases, meetings, networking events and awards shows as well as film, art and word.